Remember that time you made too many roasted vegetables and didn’t know what to do with the leftovers the next day (and day after that)? While my Thanksgiving guests went to town on my roasted zucchini, Brussels sprouts, and broccoli, I still had so much left over. SO. MUCH. LEFT OVER. 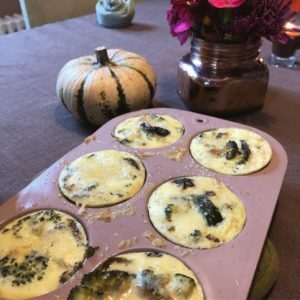 The mini soufflés are tasty, nutritious, and help you use up leftover vegetables. Waste not! 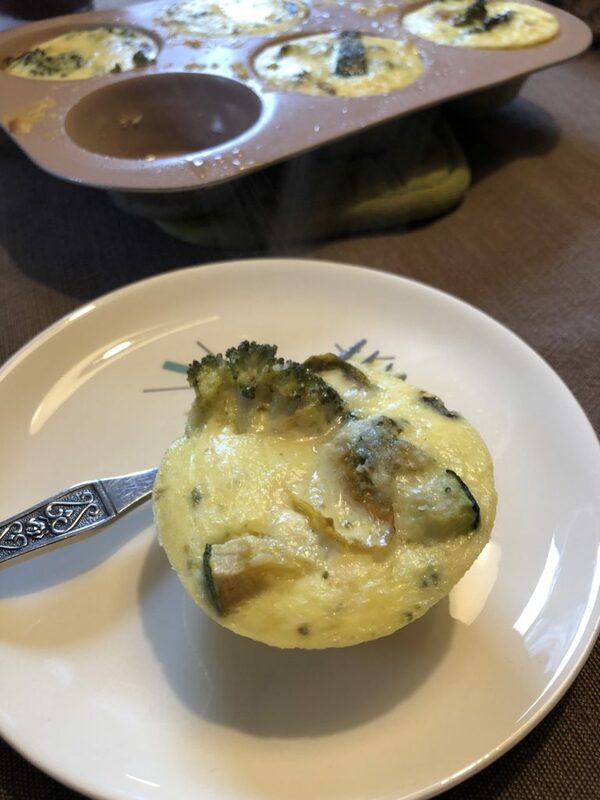 Not a fan of vegetables in your eggs? Leave them out. Can be made ahead and frozen individually. Defrost/reheat briefly and gently in the microwave or conventional oven. Tasty served on a slice of bread as an egg sandwich. Blend eggs, yogurt, salt, and cheese in a blender, with an immersion blender, or with a whisk. Bake at 350* for about 18 minutes, until centers of the soufflés are no longer wiggly. Should be firm to a gentle touch (but not hard). If you want a more dense soufflé, cut back on the amount of yogurt. How would you change this recipe?